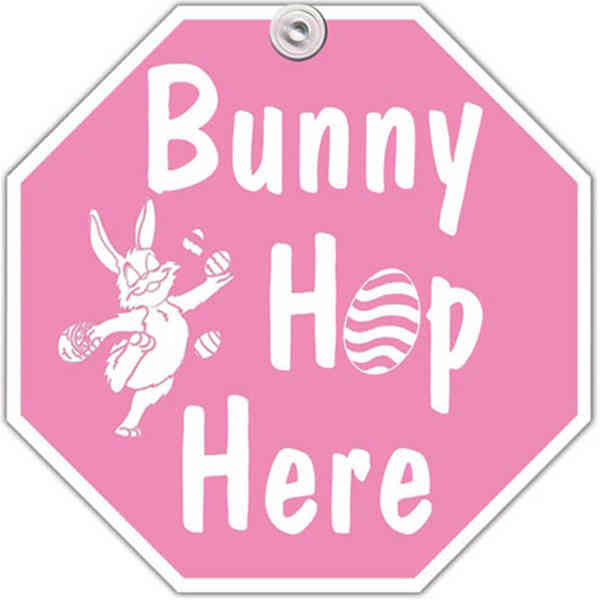 Bunny hop window sign. Stock front with "Bunny Hop Here" displayed with a dancing bunny. Liquid laminated for a high gloss finish. Made of heavy, high density, white poster board. Includes suction cups (included but not attached) or can adhere with double sided tape. Quick turn, just ask. Truly a unique holiday item.